Future of Work: People, Place, Technology was the premier leadership event of the 2015. Speakers included Dan Pink, best selling author of Drive and To Sell is Human. Nina Sochon shared the stage with Vaughan Klein, GM Collaboration CISCO and Dr Jesse Olsen, Research Fellow at the Centre for Workplace Leadership on the first day of the conference in a session titled ‘Virtual Work Success’. Nina spoke on the leadership and management approach that drives productivity and performance – particularly how results-based management is at its core. 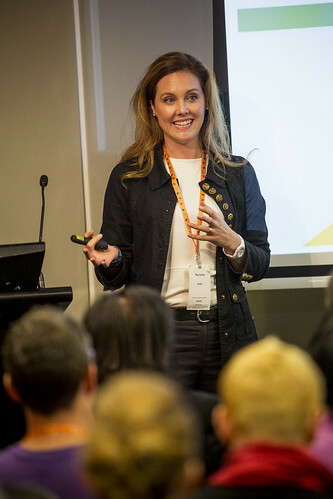 Held 29-30 April 2015 at Melbourne, Australia, the annual Future of Work Conference challenged current workplace thinking and staged an active discussion on future-proofing the business owner and workplace.